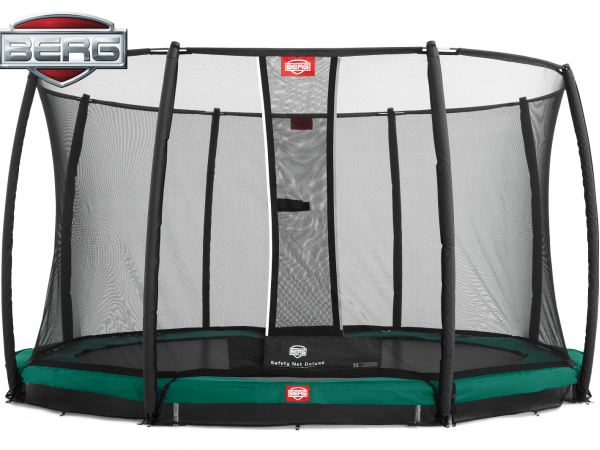 The BERG InGround Champion has a good price-quality ratio. This trampoline offers fantastic jumping comfort thanks to its Twinsprings Gold springs, optimum safety and durability. Extra wide and thick protective edge make for years of playtime pleasure. 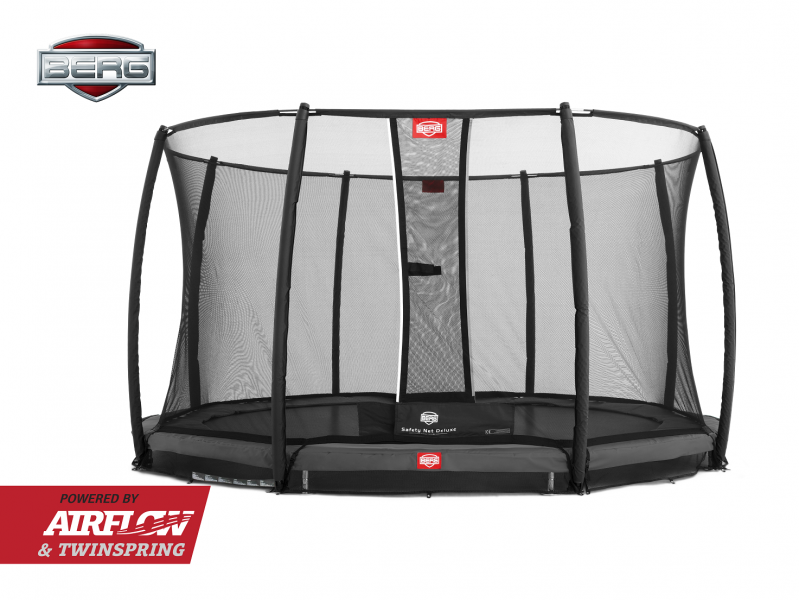 A good trampoline for at home, and also super safe! The InGround Champion is low to the ground, and the safety net prevents you from landing next to the trampoline.